Are you Ready to take your skills to the next level ? Do you want to meet the challenges of your instrument with intelligent, quality practice? Did you hit a "performance wall" where no amount of hours practicing seems to allow you to break through to a higher level? Do you wish you could make better functioning reeds - but just can't seem to produce them? Whether I'm teaching a six year old or coaching a professional for an audition there is always space for the possibility of a constant innovation in the approach to practice and performance. How many times have we practiced for all those long hours, only to come back the next day feeling like nothing has improved? I love sharing practice techniques that can really help you move forward with your performance, be able to verify and keep your results, and to optimize your practice time. I have spent the past 20 years teaching and discovering catalyzing and innovative techniques, testing and verifying them in countless hours of teaching with students ranging from the ages of 6 to 70, from all walks of life, who play at different levels, from the beginner to the most advanced professional. My early training both in the UK and in the USA has given me a very open perspective and I can work easily with many different styles of playing and reed concepts. I have also successfully applied these techniques to other instruments and have taught extensively almost all orchestral instruments. I’m very excited about the possibility of reaching out to musicians around the globe. Look forward to meeting you! 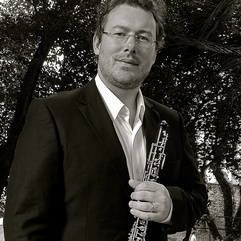 Peter Apps – Professor of Oboe at Instituto Baccarelli, Sao Paulo, Brazil. A member of the Sao Paulo Symphony Orchestra (OSESP), he has played under conductors such as Marin Alsop, Vasily Petrenko, Heinz Holliger, Kurt Masur, Vasily Petrenko, Osmo Vanska, Thomas Dausgaard, Eiji Oue, Sir Georg Solti, and many more. He also works regularly with various ensembles such as the Camerata LatinoAmericana, Sao Paulo Bach Collegium and Bachiana Sesi -SP Philharmonic. As a soloist he has appeared with numerous orchestras, including the Academy of St. Martin in the fields, the Orchestra of St Luke’s. An active chamber musician, he is a member of the Kaleidos Quintet and works extensively with the contemporary group Percorso Ensemble. Peter has performed at the Edinburgh International Festival, BBC Proms, New England Bach Festival, Schleswig Holstein Music Festival, Chigiana Festival (Italy), Brasilia Festival (Brasil), Curitiba festival (Brasil), the Campos Do Jordao Festival (Brasil), among others. With the Sao Paulo Symphony and as a soloist he has appeared on over 35 recordings for Meridian records (UK) , BIS (Sweden) and Naxos, 8 of which have received Grammy nominations. He owns a farm in the centre of Brazil that has become an ecological reserve for native trees. Peter plays a Marigaux 901 oboe. Peter has a great ,friendly and relaxed approach and offered many useful and constructive suggestions to improve technique in a focused way. Take live online video lessons with professional, passionate Pedagogical or Oboe teachers from around the world. All you need is a computer equipped with a webcam and microphone. Learn more about how it works.